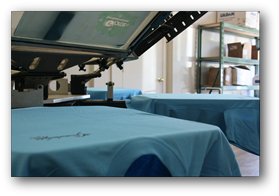 Yes and no... Embroidery and heat press orders have no minimums. 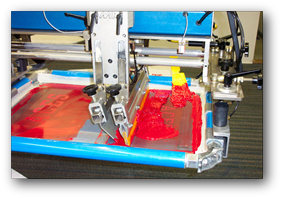 Due to the significant setup involved, screen printing orders are subject to a minium of 12 prints of the same design. You can provide your own artwork, or simply give us an idea and our art department can create a design for you. 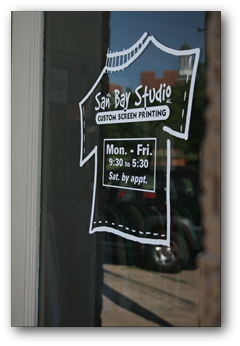 After the artwork is created, we allow you to come in and make changes before your job is printed. We can utilize various file formats to create your design. Below is simple breakdown of which files are are recommened and which ones are not. Normally from the day you place your order it will take 2 weeks to receive your shirts. This can vary at different times of the year. We accept most major credit cards, PO�s, school checks, personal checks, and cash. We have a minimum of 12 garments. 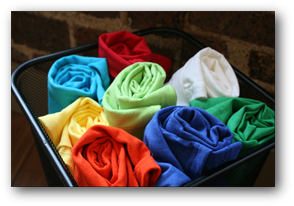 You can mix and match between t-shirts, aprons, sweatshirts etc. as long as you have 12 prints of the EXACT same design. We are open from 9:30 - 5:30 Monday through Friday. If you need us to meet you before or after hours, no problem, just give us a call and we can work something out. We are located in Denton, Texas close to the Texas Woman�s University campus and on the west side of the TWU library. 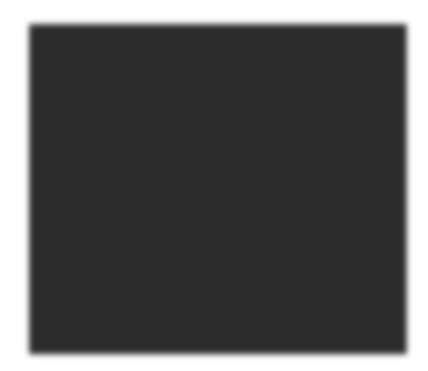 Our address can be found on our contact page or you can call us for directions. 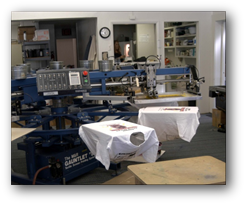 We have an extensive selection of apparel for screen printing and embroidery. Everything from shirts to sweats, bags to towels, and much much more. Most of products we offer can be found on our catalogs page. 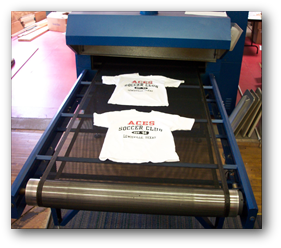 We now offer in house embroidery allowing for better turn around times and a higher quality standard. The minimum amount of garments requried for an embroidery order varys by the complexity of the design.